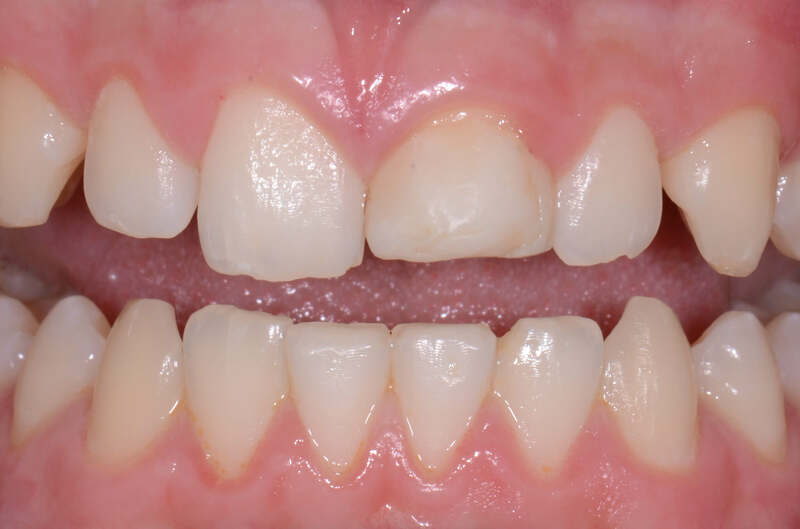 Shade matching is one of the greatest challenges in esthetic dentistry. The appearance of a tooth is a combination of it’s reflectiveness and translucence, plus the Chroma and hue of the dentin and the enamel combined. We judge the final “shade” in value, chroma and hue. The value is often discussed as a white to grey range, in truth it is about light reflection back to the observer. Chroma is the intensity of color in the tooth and is judged using a numeric scale classically with 1 being lowest color intensity and 4 being the highest. The last parameter is the hue, or the name of the color, commonly divided into A, B , C & D. When we try and match the “shade” of a natural tooth the value is the most important of the three, with chroma in second place and the hue finally as the least important characteristic. Dentin and enamel are different in their reflectiveness versus translucence. Then it gets more complicated because the dentin shades of composite do not mimic the light properties of real dentin, nor do enamel shades of composite exactly mimic the light properties of natural enamel. We get around this by layering the composites. The first and most critical piece is to choose composite materials that match the value of the natural tooth. The final value will be determined by the value all the layers of composite. I like to choose the composite shades I am planning to combine, and at the very beginning of the appointment before the teeth have dehydrated layer them in the final thicknesses on the labial of the adjacent tooth. I then photograph the final result. 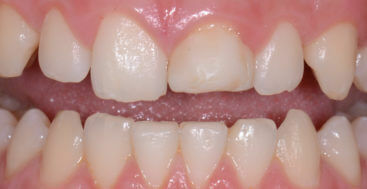 If the composite disappears against the tooth I have chosen the correct combination of composites. If not I pop it off the tooth and try again, trying to match the value. Once I have the value I can think about matching the chroma and hue.